The Avebury White & Red Mini Pan provides the ultimate rustic presentation. 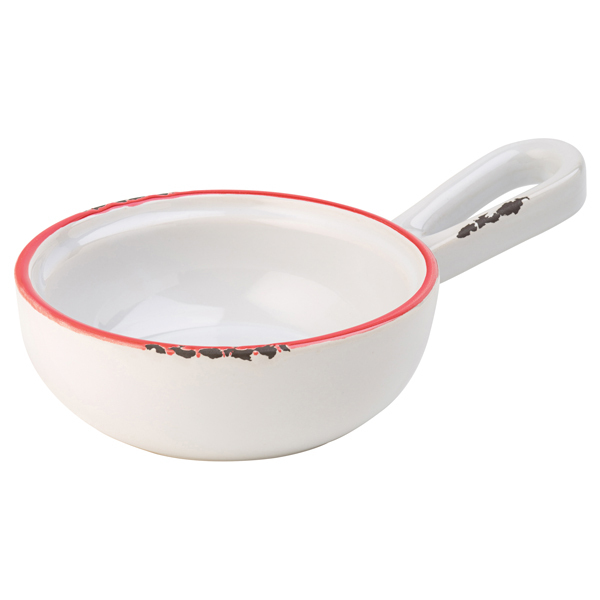 Perfect for serving sauces, dips or condiments in a retro stoneware design. Designed with an enamel style look, these mini sauce dishes are full of vintage charm. Ideal for both hot or cold sauces, these dip pots are perfectly on trend with its truly rustic finish.